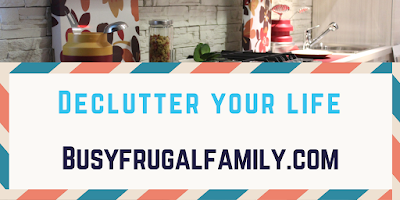 Busy Frugal Family: Declutter Your Life in the New Year with Dana White! Declutter Your Life in the New Year with Dana White! 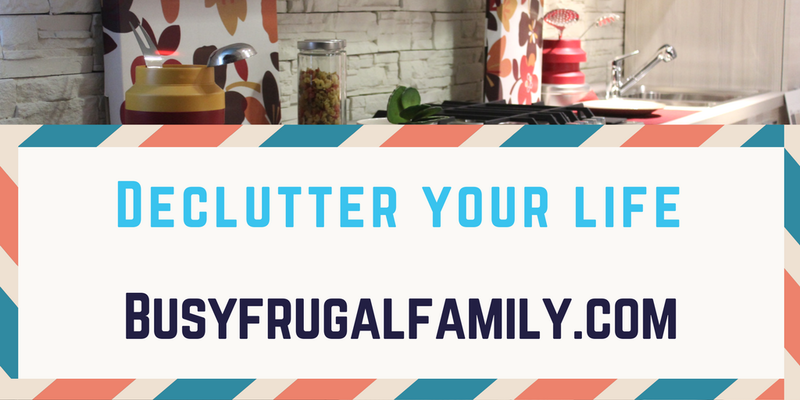 Need to declutter a room, your entire house, or your life for that matter? Did you make a New Year's Resolution or goal to organize your spaces? Then check out the new book Decluttering at the Speed of Life from Dana White! I wrote Decluttering at the Speed of Life as the guide to decluttering for the person who is completely overwhelmed in her home. A huge part of my own "deslobification" process has been getting the clutter out of my home. As someone who once could (and would) argue that there was a good reason keep something (ANYthing), I had to work through my own emotional attachments and personal hangups to get the stuff out. This book is a guide based on the strategies I've developed working through my own clutter. They're step-by-step instructions that I know work. What are some emotional challenges and mindsets that keep busy families from decluttering? The biggest challenge is getting started. 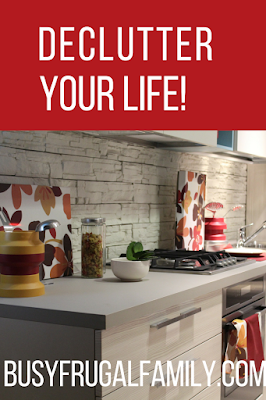 The feeling of being overwhelmed when looking at a pile of junk or overflowing cabinet (or room) stops many people from even trying to declutter. That pile looks like a big mass of overwhelming decisions that need to be made, and sometimes it feels easier to just ignore it. How can families decluttering when they feel there's no time for cleanup? Focus on "less." The strategies in Decluttering at the Speed of Life are designed to work whether you have five minutes, five hours, or five days to devote to decluttering. Life happens, which means distractions happen, and the steps I use let me declutter without leaving anything for later, so I can make real progress in any amount of time. Focusing on achieving "less" means that if I work for five minutes, I've achieved my goal because there's less in the space than there was when I started. This mindset shift is a game-changer. How could busy families start decluttering? Grab a trash bag (and a recycling bin, if you have one) and start throwing away trash. Spoiler alert: that's my first step in dealing with an overwhelming mess. In any cluttered space, I always find trash. Always. Focusing on removing trash is easy, and once the trash (or the top layer of trash) is gone, the space is less visually overwhelming, which encourages me to keep going. There's hope! If I can do this, anyone can. I've created strategies that remove emotions from the process and allow me to work my way through huge amounts of clutter quickly, and without tears. I'm all over the internet, but my home base is ASlobComesClean.com. That's where you'll find my blog, my podcasts, my videos, and more. Note: This post contains affiliate links, from which we earn a small commission. Rest assured that we only provide links to products and services we recommend.